Four biodynamic farmers at different stages of working with animal power (some for decades, some brand new) will share their experiences on how they have integrated draft animals into their farm individualities. They will explore their approach to the work, using tried and true equipment as well as new on-farm inventions that make their systems work for them. 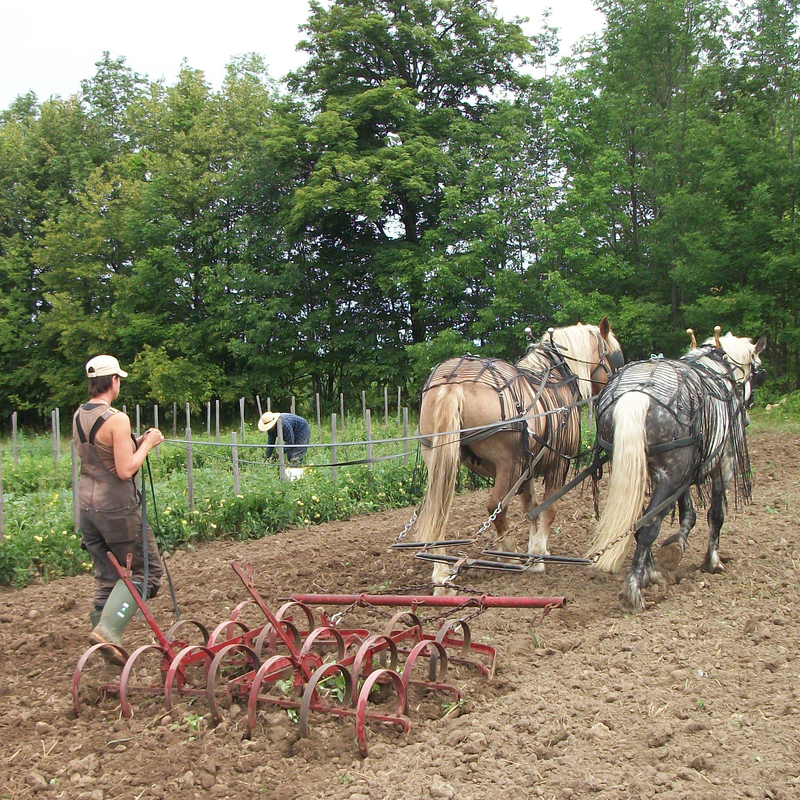 Conversions from a primarily tractor-powered farm to a primarily horse-powered farm will be discussed, as well as starting from scratch with draft animals. Come hear the successes and challenges of working with fellow living, sentient beings to grow our food.